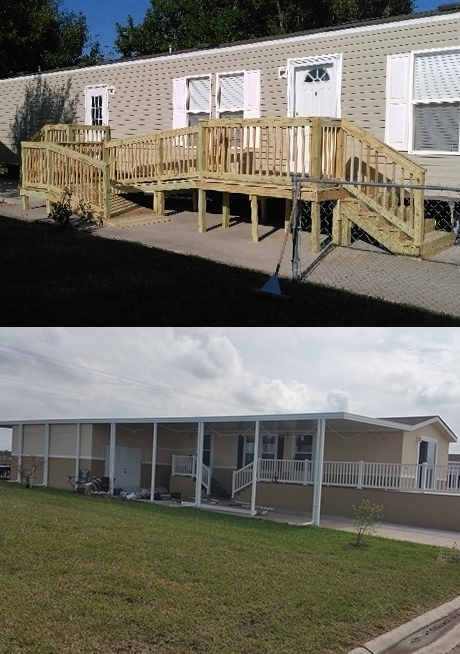 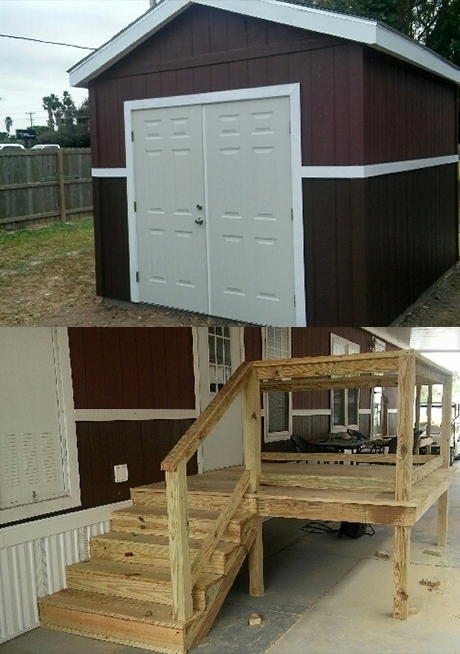 We are committed to lending an ear for your special requests and needs when adding a custom Texas Room, Shed or Deck to your Mobile home. 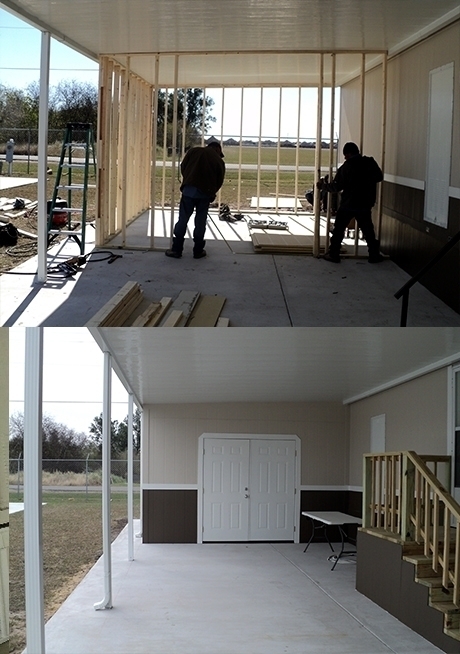 We offer a variety of building material options to match the siding of your home and will also paint it to color match your mobile home. 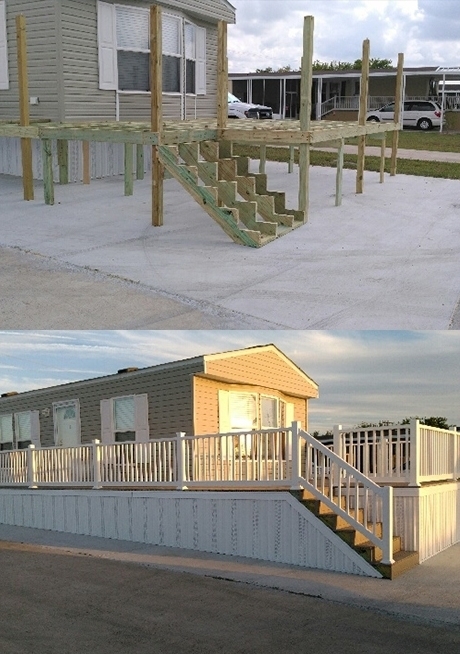 We also sell treated wood steps with universal metal rails for mobile homes.